Ever since the Great Depression doused the flames of the Roaring Twenties, people have tried to recreate the decade’s extravagance. And while we can’t all look like Leonardo DiCaprio or have an enormous mansion on Long Island, we can do something about the bar. 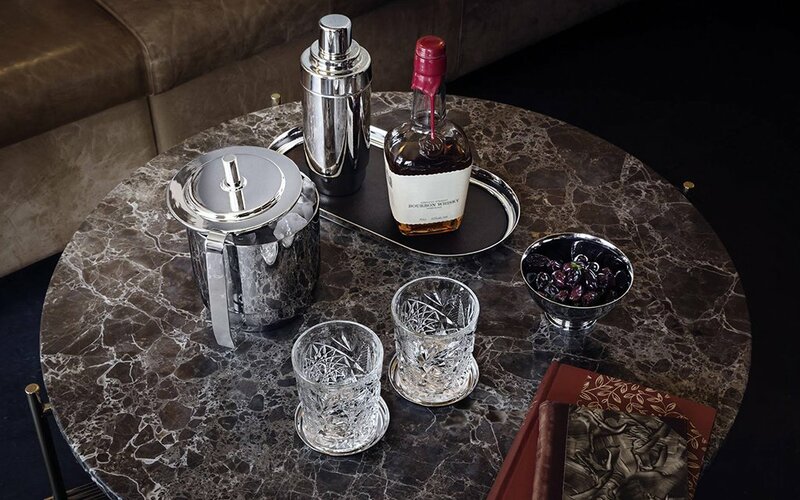 Here to lend a hand: Georg Jensen’s Manhattan Collection. Because when your guests arrive in sharp duds and high spirits, you better have the wine chilling somewhere besides the sink. 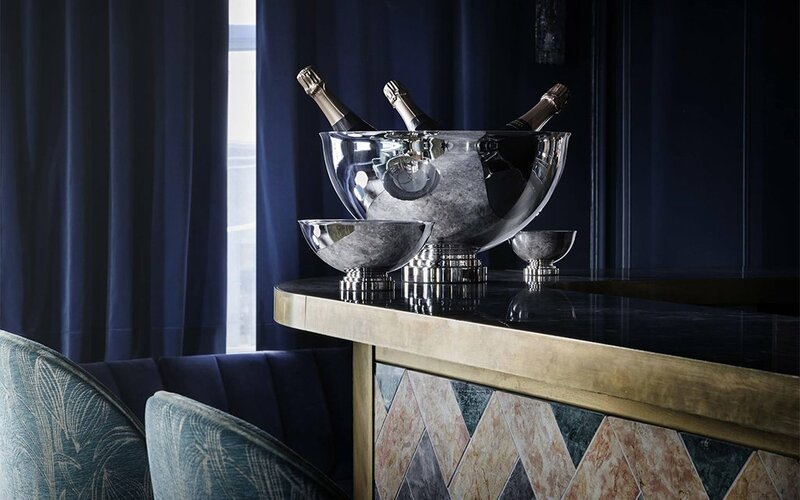 All great get-togethers begin with a drink, and thanks to these mirror-polished stainless steel pieces, you can go ahead and shelve your novelty cocktail shaker and makeshift champagne bowl for good. 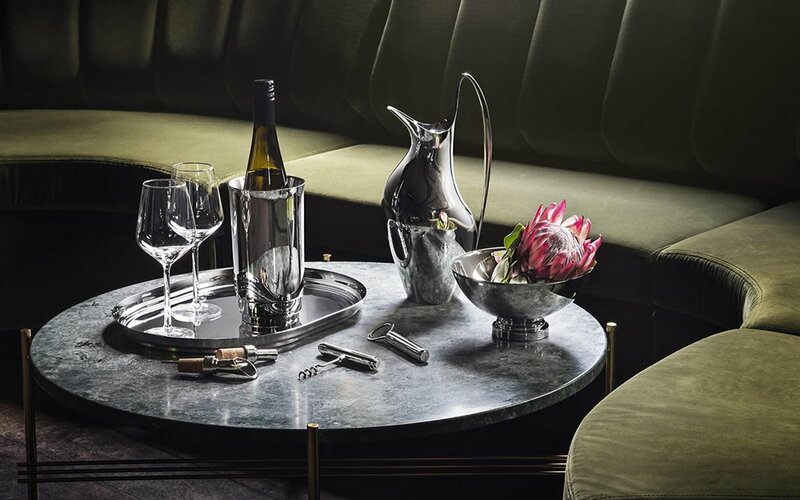 The iconic Danish brand drew on Art Deco for inspiration, and the mirror-polished, stainless steel pieces range from essentials like corkscrews ($60) and shakers ($150), to statement pieces like a leather-clad tray ($210). If you’re unfamiliar with Georg Jensen, the company’s founder and namesake was a silversmith who was director until 1924, the peak of the Jazz Age. When you’re trying to throw a Gatsby-level gathering, authenticity is your only option.